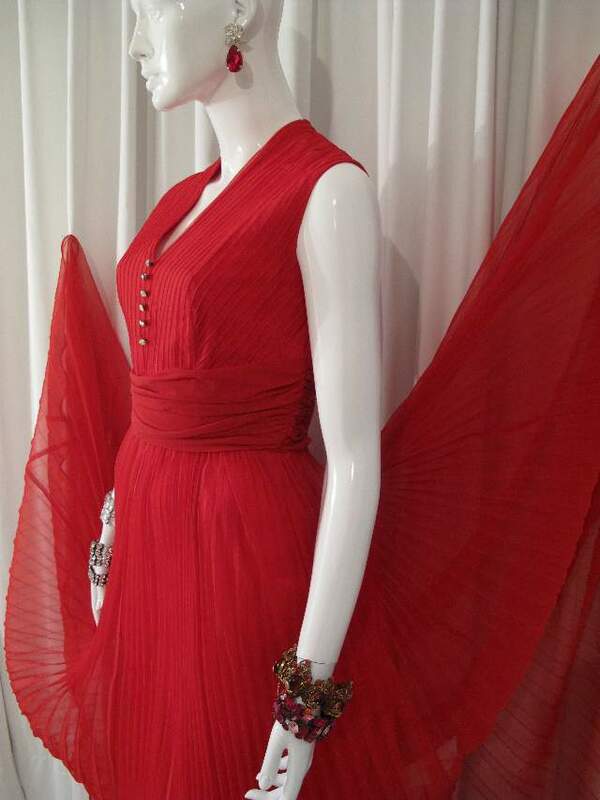 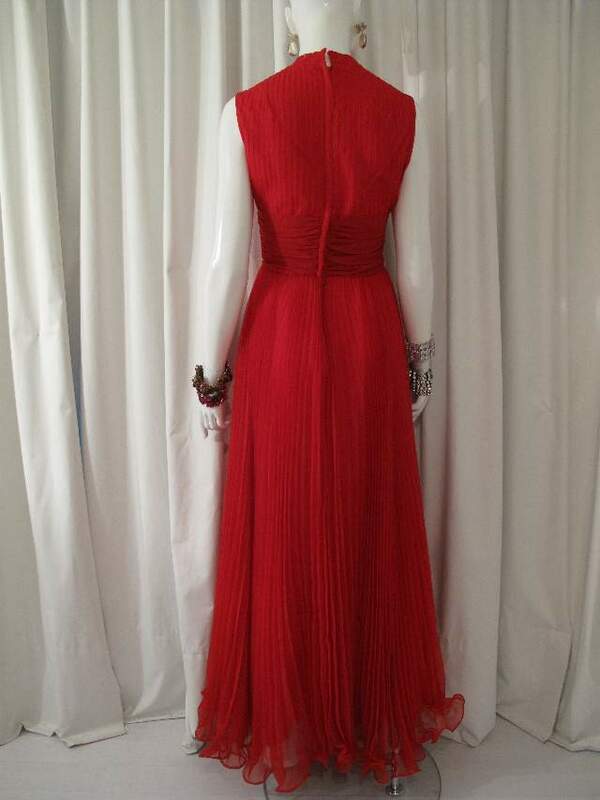 1960's Scarlet pleated chiffon vintage evening gown. 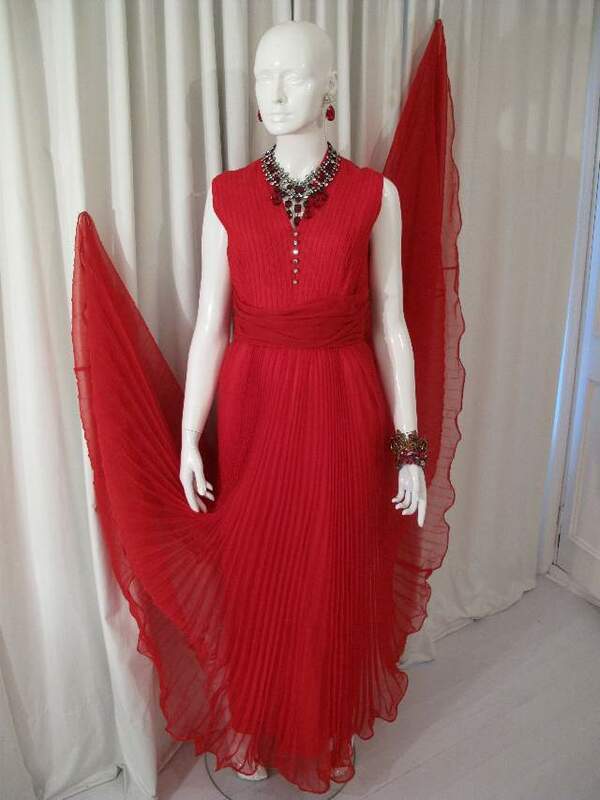 This American label was sold in high end stores, specialising in evening wear and known for dreamy, chiffon numbers, especially in the 60's. 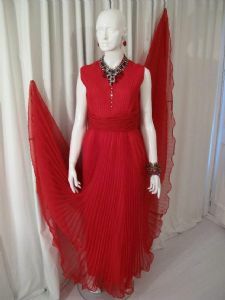 We are championing this label at Secret Siren, although not particularly well known, the dresses always look great and the knife pleated chiffon pieces with Bulon- wired hems, are a procedure that is rarely done today. 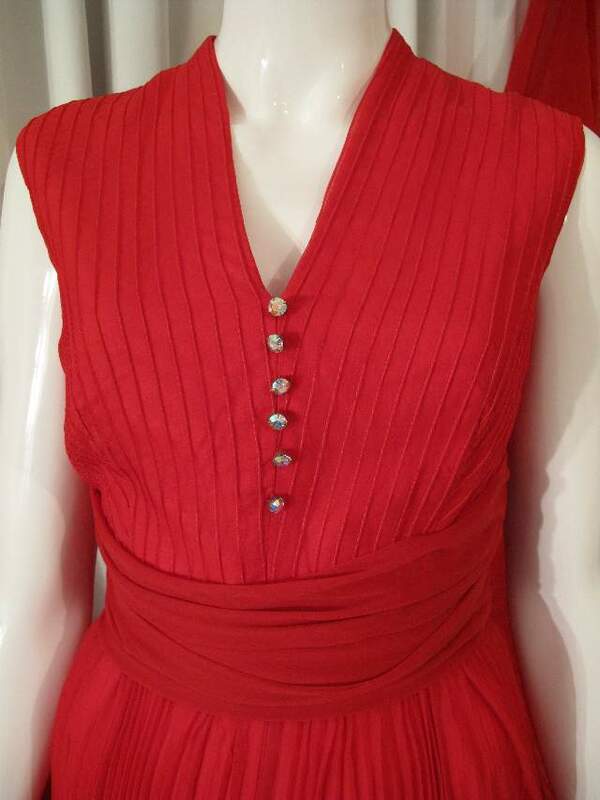 This dress is in striking scarlet red, the sleeveless bodice is covered with fine pin-tuck detailing and a V neck , the front has six very sparky aurora borealis crystal buttons. 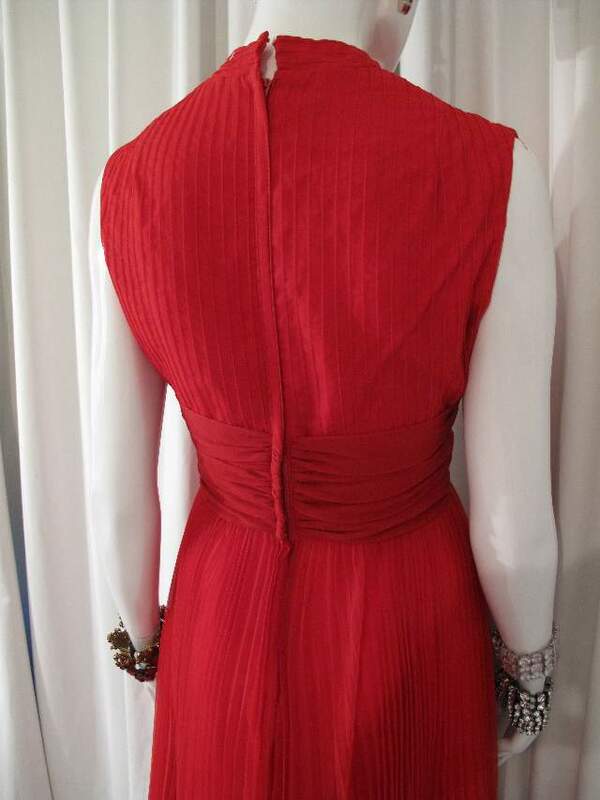 There is a draped chiffon waist panel, the skirt is full circular and sunray pleated with a wired hem annd moves beautifully.